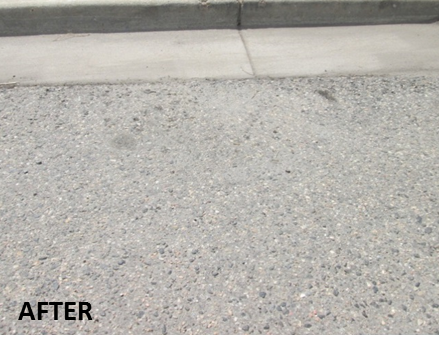 Our asphalt cleaning products fully remediate the stain and carbon shadow. 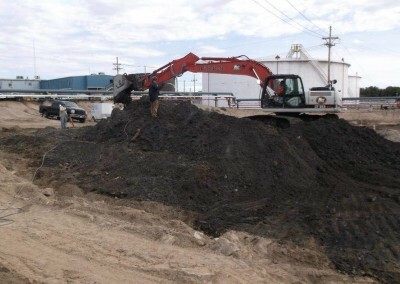 Terradis asphalt cleaners will not harm the substrate of asphalt. 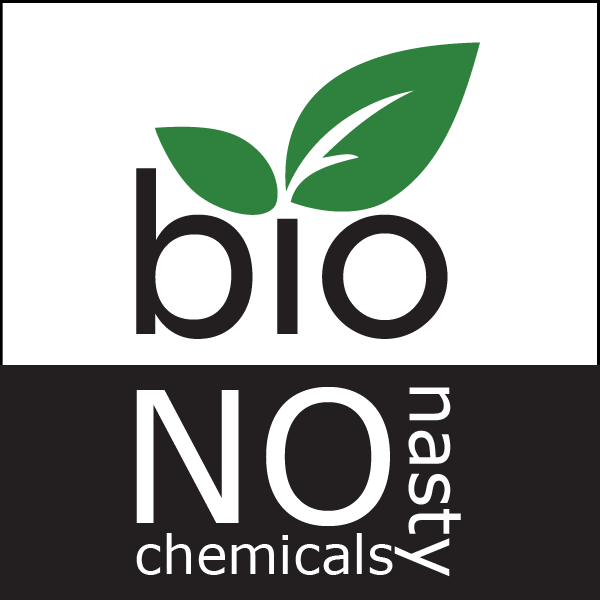 With zero chemicals or bleaching agents our products have a net positive gain on the surrounding environment where the products are used. 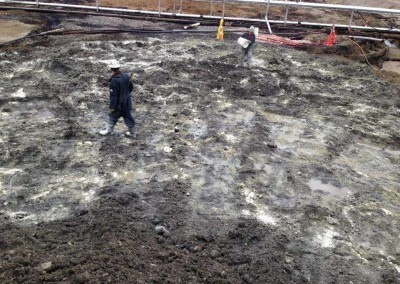 When the oil has built up over time producing a thick cake on top, there is just too much hydrocarbon material for the microbes. In this case, the cake needs to be scrubbed or scraped off with a surfactant of some form. 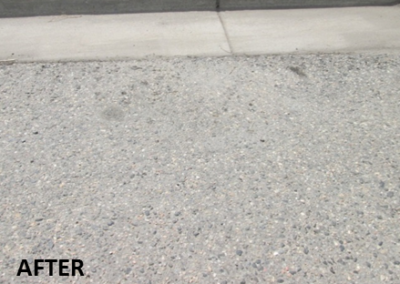 For Terminator to work, you must be able to see the pores of the asphalt. 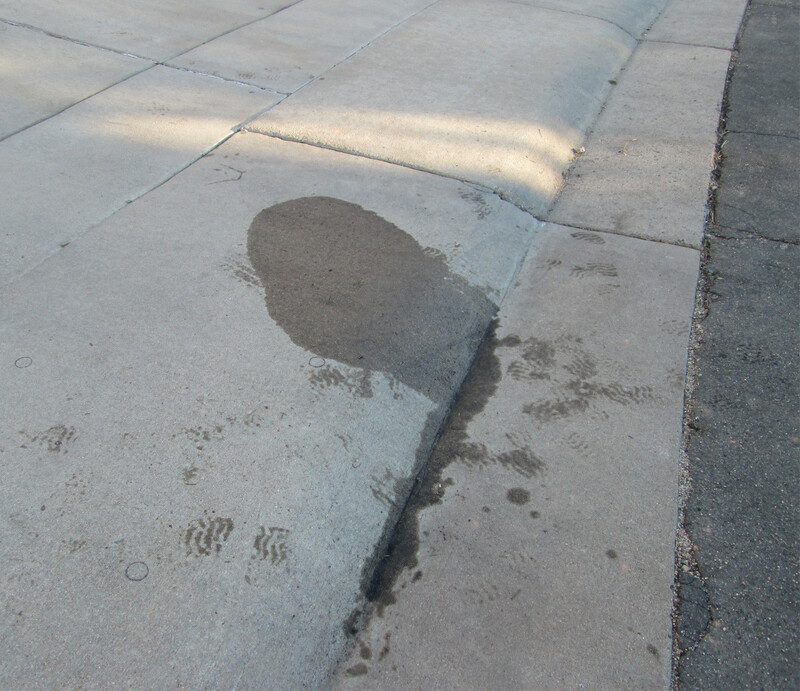 New Asphalt is difficult to remove a stain from in general. 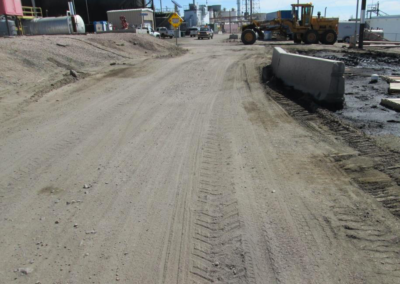 It contains many un-bonded hydrocarbons in the asphalt and so there is a lot of food source competing for our microbes attention. Hydraulic fluid will degrade but is much slower than engine oil or fuels. 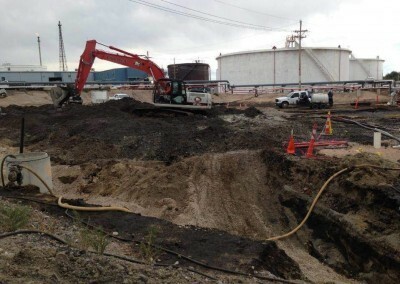 The longer chain hydrocarbons are not consumed as quickly as a rule of thumb. For Hydraulic Fluid on asphalt, it is wise to set a 60-day expectation with multiple applications necessary. In addition, keep in mind that Asphalt does not absorb moisture, it repels it, whereas concrete absorbs water and maintains a moist environment for the bacteria to thrive much longer during remediation. 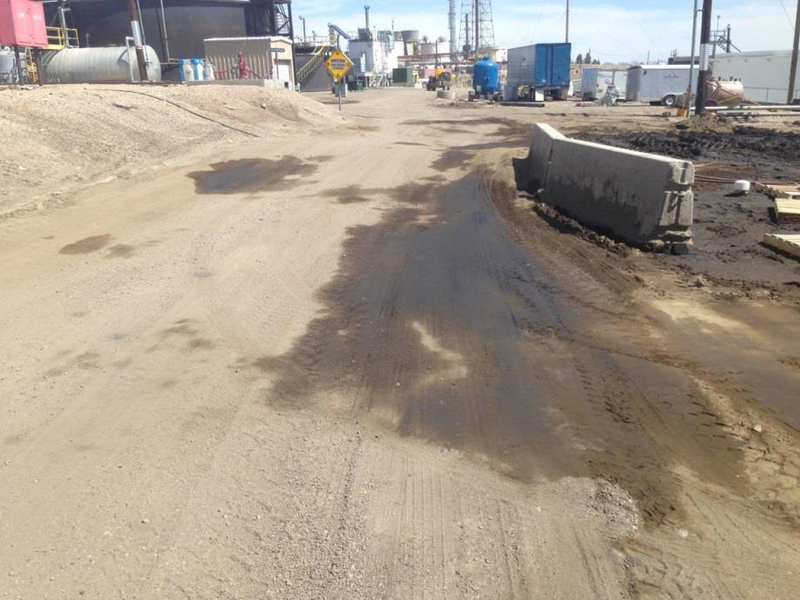 Unless raining, asphalt is a dry inhospitable environment requires more frequently applied moisture to do the job. 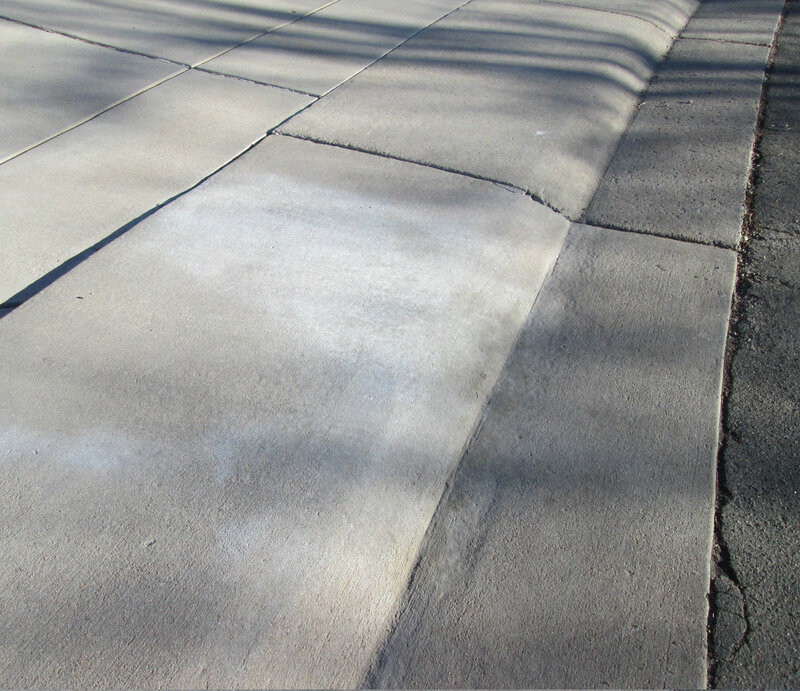 It can take twice as long on asphalt and may take multiple treatments and regular application of extra moisture. It will work, some people expect that within a week the stain will be gone (after one treatment) and are disappointed when 30 days goes by and their one treatment with no added moisture. 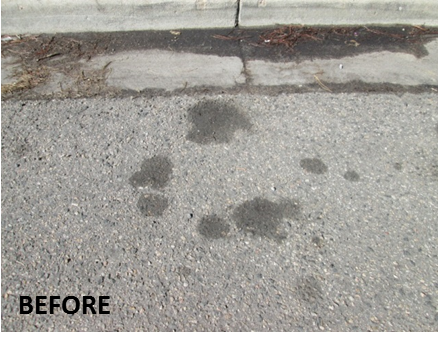 TERMINATOR-HSD Asphalt Cleaner will remove oil, petrol, diesel and other petroleum-based stains from asphalt. Our asphalt cleaner will leave your treated asphalt in an even coloured condition, it will not damage the cell structure of the asphalt. 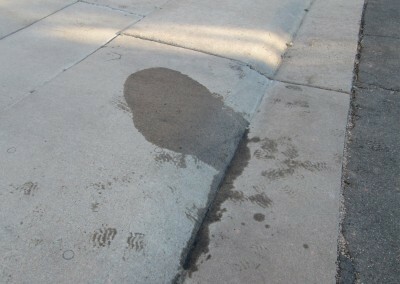 Removes petroleum stains from asphalt. 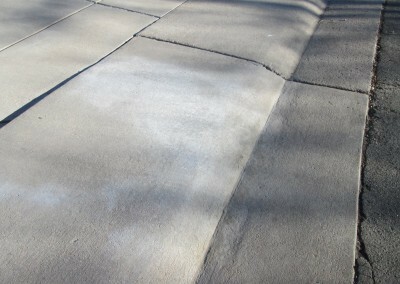 No need for water blasting your asphalt (stripping away protective layers). Easy to apply, sweep in the pores and leave TERMINATOR-HSD to do its thing. 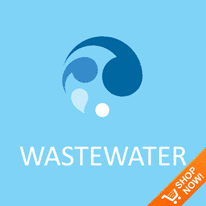 Our specialised microorganisms quickly bio-remediate petroleum compounds into Water (H20) and Carbon Dioxide (C02). TERMINATOR-HSD is a powder containing a proprietary blend of highly concentrated microbes and absorbent. The microbes are cultured specifically to biodegrade motor oil, crude oil, gasoline, hydraulic fluid, solvents, cooking oil and kitchen grease. 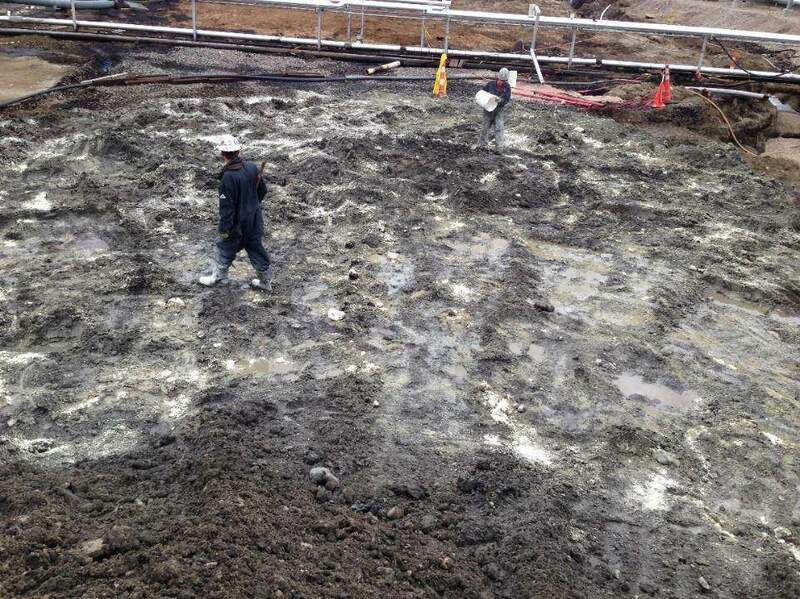 Proprietary nutrients stimulate the microbial appetite and growth, resulting in accelerated remediation of a spill or stained area. 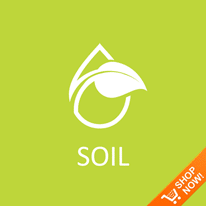 Safe, non-toxic and easy to use. The major by-products from the biodegradation process are carbon dioxide (CO2) and water (H2O). 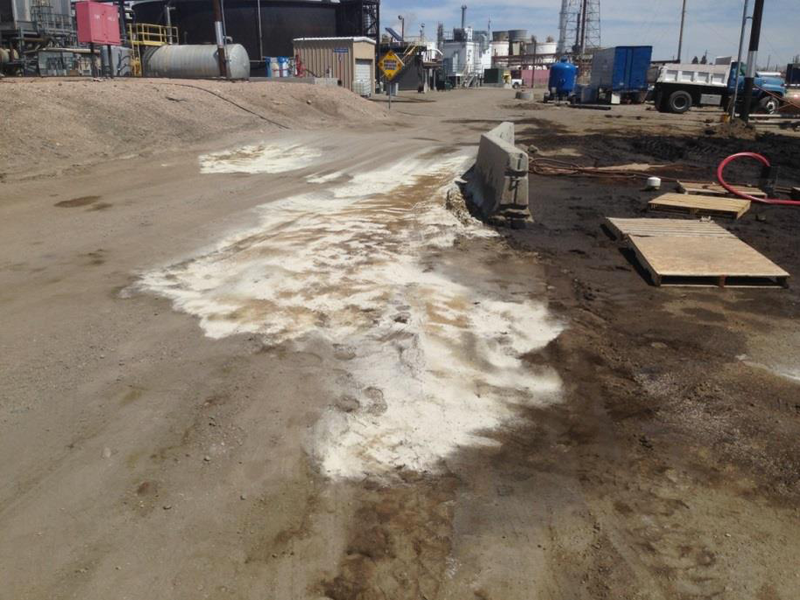 Regular use of TERMINATOR-HSD in parking lots and industrial yards will aid in storm-water compliance. 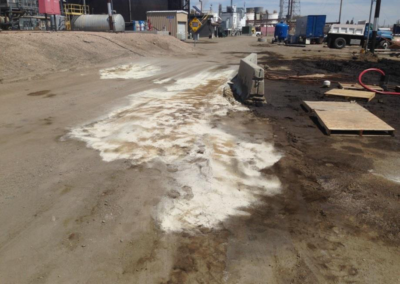 Spilled petroleum compounds are bio-remediated on an ongoing basis. 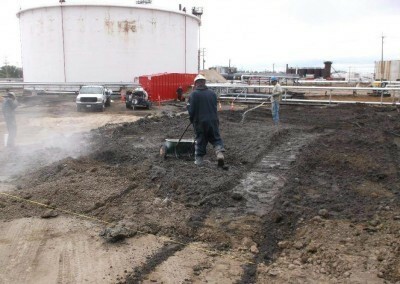 Consult a TERRADIS representative for a proper maintenance schedule for your facility. 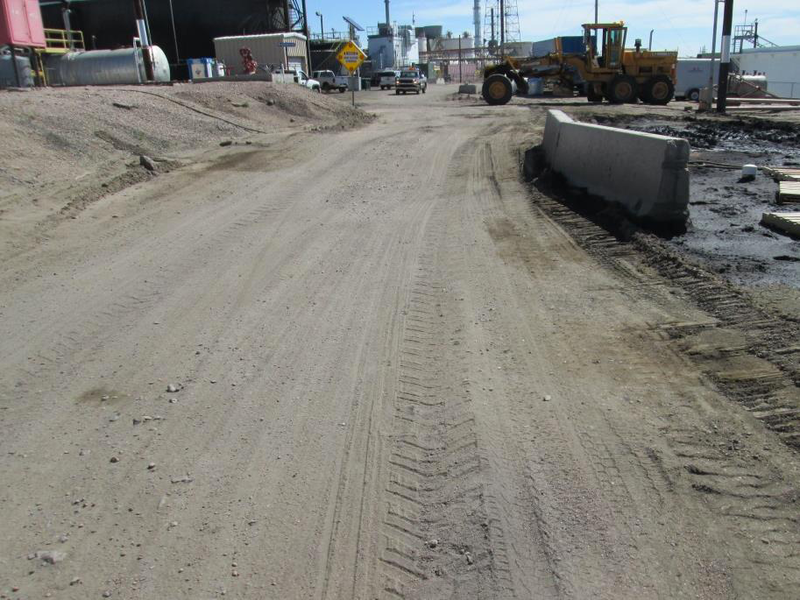 TERMINATOR-HSD Asphalt Cleaner attracts and binds hydrocarbons, holding them in place during biodegradation. 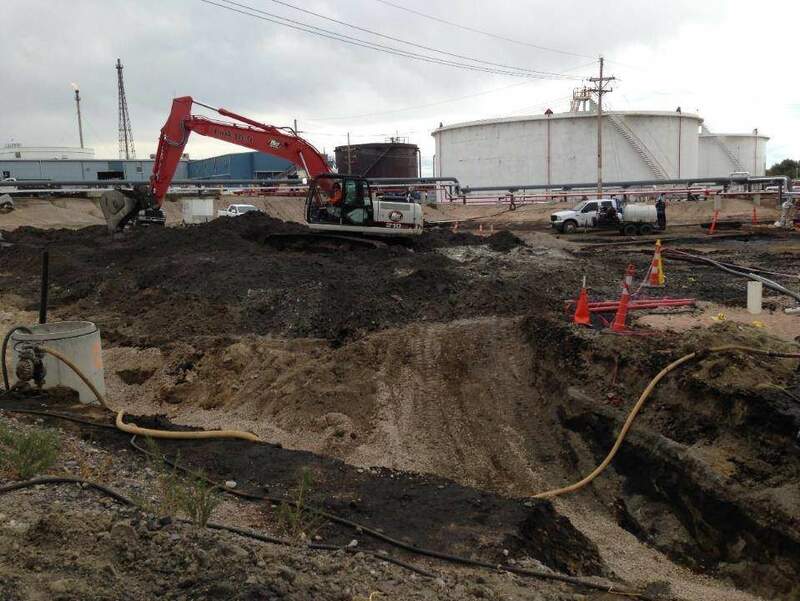 Once absorbed, contaminants will not migrate as they bio-remediate. 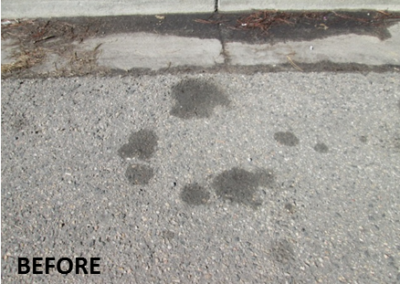 Asphalt Cleaning (Oil Stains on Asphalt): Sprinkle TERMINATOR-HSD sparingly over the dry-stained area. 310 grams will treat 15 to 30 small oil spots! Sweep product in multiple directions to force powder into surface pores. 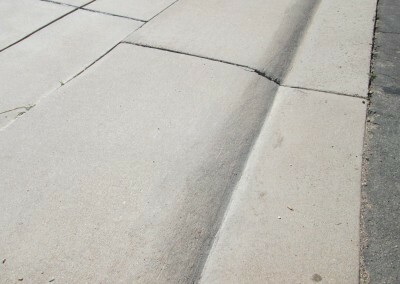 Using a soft bristle broom, sweep excess powder to new areas until there remains nothing left to sweep. In dry climates or indoor areas, it is necessary to mist water on the area, outside in temperate conditions mother nature will complete the job for you. 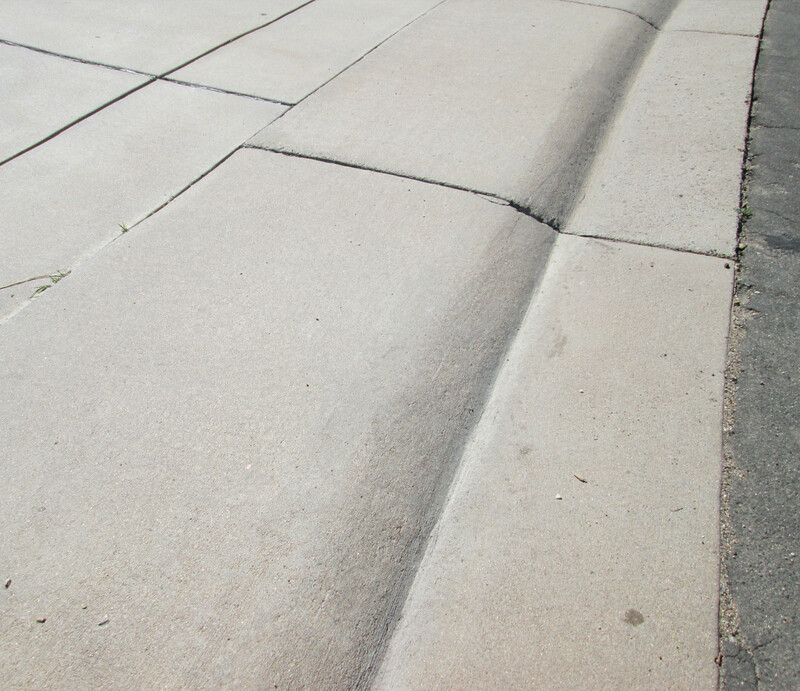 To speed results, moisten area lightly, being careful to not cause water runoff, and reapply weekly until stains have faded as desired. Most stains will be eliminated in 3 to 4 applications. 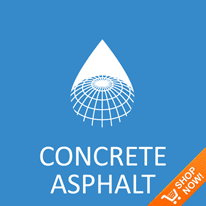 Due to the more rough surface nature of Asphalt, more product is used during treatment.